Nazz Kurth, is president of Petzl America, a mountaineering equipment company in West Valley City. He’s showing visitors the solar panels on the roof, which helped whittle the company’s monthly electric bill to $20 during what’s expected to be the hottest summer on record. It’s part of the company’s effort to become a good corporate citizen. “So, there’s a GPS unit that tracks the sun as it goes through the sky and amplifies the natural light,” explains Kurth, who says clean air is important for Utah’s business climate. 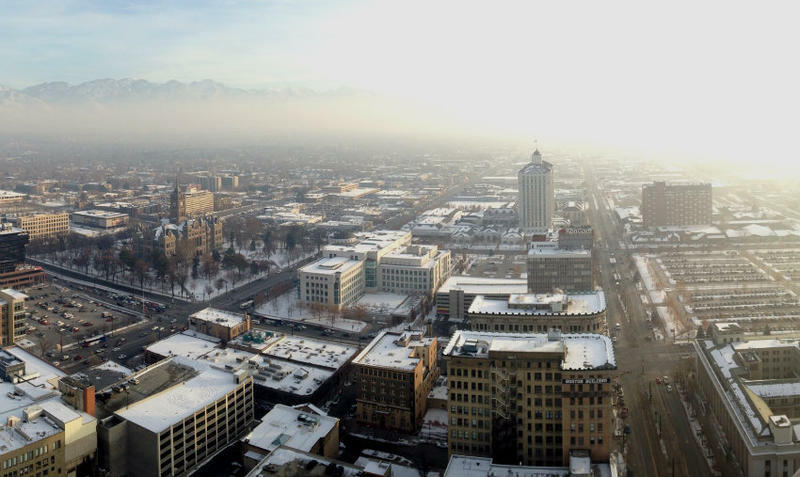 Thirty businesses, including Zions Bank, are asking state leaders to step up efforts to meet federal particulate matter standards. Controlling wood smoke, promoting electric vehicles, testing vehicle emissions statewide – they’re all strategies that could reduce pollution, the businesses say. “Businesses want this; employees want this,” says Erin Strahm, program administrator for the business nonprofit, Leaders for Clean Air. “It’s out of step to have legislation lagging so far behind what we are asking for and what we want,” she says.